Easter Corsages Now on Sale! 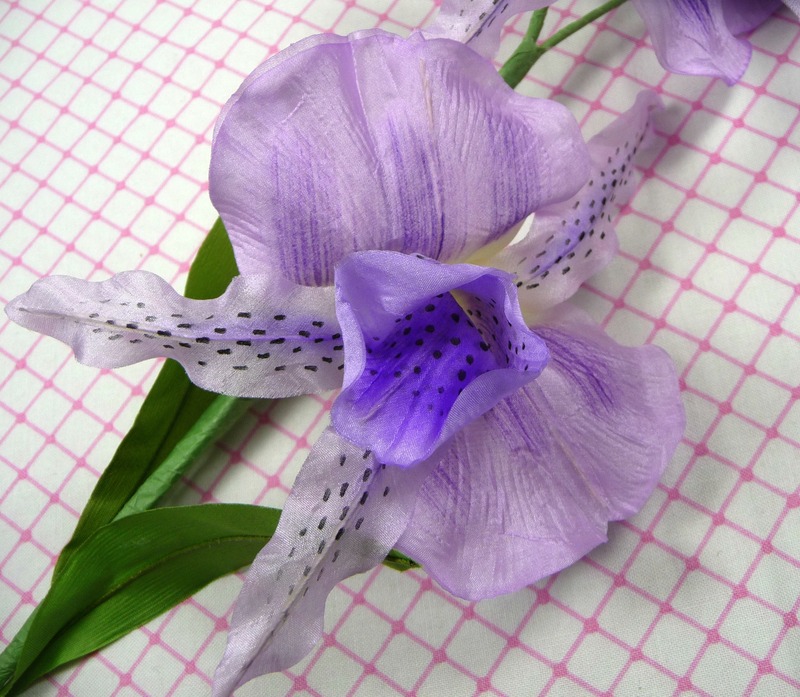 Just a quick note to let you know that every Easter corsage in the shop is now on sale! 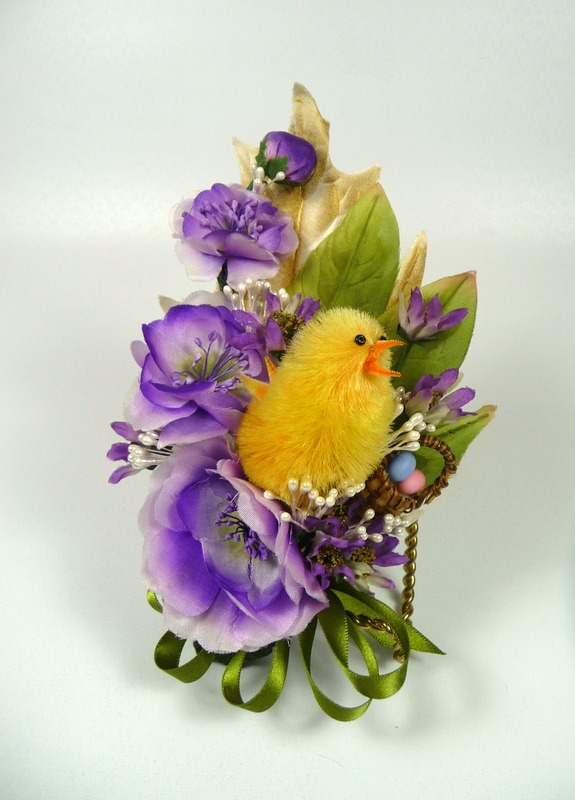 Each Easter corsage is now $5.00 off the regular price, and if you use coupon code BLOG10 at checkout, you’ll get an additional 10% your entire purchase. It’s a great way to pick up a few last minute Easter gifts and, if you like, I can ship them to your gift recipients in time for the holiday if you make your purchase in the next few days! This sale ends on Easter, so stop by the shop now and pick out your favorites! 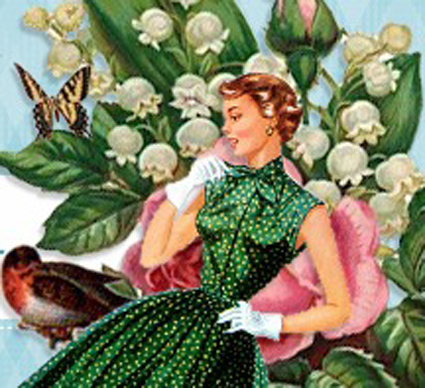 Happy Spring – and I hope your holiday is festive and fun! It’s hard to believe, but Easter is just around the corner! Easter Sunday is March 31, and it’s time to start thinking about how to fill up all those Easter baskets. 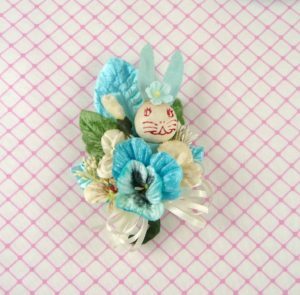 Why not think about a vintage Easter corsage this year? I’ve got some lovely ones in the shop right now, and they are in a variety of sizes and price ranges! Starting at just $15, they are made to be worn by children and adults. 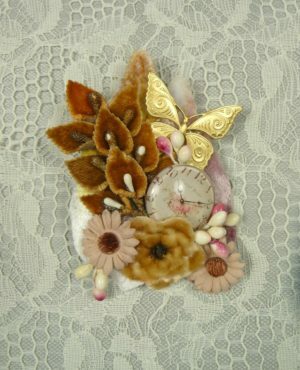 Each one has beautiful millinery flowers, and a special vintage spun cotton bunny and / or chenille chick. They’re absolutely adorable and will become a treasure to be worn year after year. You’ll love them all! As I mentioned in my last post, I have created some gorgeous brooches made with vintage millinery flowers, handmade laces, and Victorian-style charms. Each has a bar pin affixed to the back, so they can be easily pinned on a jacket, hat, purse, or anywhere a little vintage lovely will brighten your day. I have found some gorgeous vintage millinery flowers. Due to their expense, its just not feasible to use them in large corsages, but as they say, “A little goes a long way,” and these brooches are one way to enjoy an exquisite piece of fashion history without breaking the bank. I have found some beautiful digital images of french wallpaper, and each brooch will arrive affixed to a special card chosen just for it. I often wear these myself, and get loads of compliments every time I do! Stop by the shop and see them for yourself! As always, readers of my blog can use coupon code BLOG10 and get 10% off every corsage, brooch, tea cup, and tussie mussie set at meaicp! Finally, it you are one who would prefer to make a corsage or adorn a special hat for yourself, I encourage you to stop by my other Etsy shop, APinkSwan. I have just added over 200 more vintage and contemporary millinery items. I am sure you’ll find something there you’ll adore! Gorgeous post-war millinery flowers from Germany and France, as well as some contemporary bridal roses in the finest silk and velvet. Orchids, roses, lilies, dangling hops, daisies, berries, and over 50 different types of leaves. Each is an heirloom, so make yourself a cup of tea and spend some time browsing. I know you’ll find something special to inspire you!